MariFlex Marine pneumatic Fenders for Liquid Cargo Handling activities. 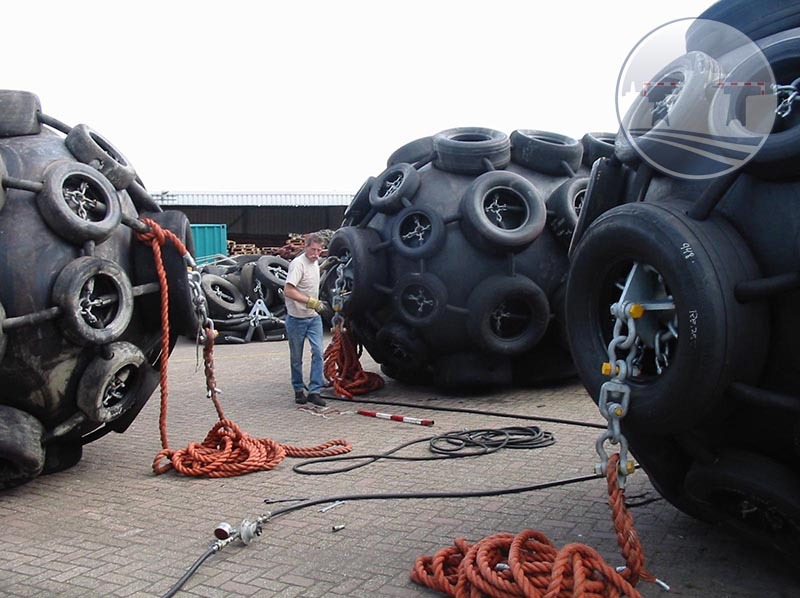 MariFlex Marine fenders are manufactured by only high quality companies. MariFlex uses only the so-called pneumatic Fenders all with initial internal pressure 50 kPa. For rental purposes for MariFlex Liquid Cargo Handling activities or our Ship to Ship (STS) transfer activities, MariFlex has a multiple sizes of Fenders placed at strategic stock locations.